My first article for the Sunday Times. 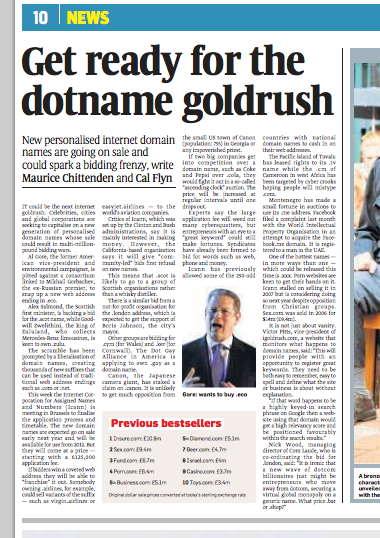 ‘Guardian of the internet’ Icann decides to allow websites to replace the .com with anything they want… providing they have at least £125,000 to set up a registry. The article is here, or find the text below.